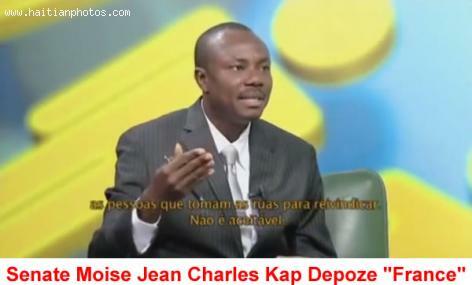 Here is the Haitian senator from North of Haiti, Moise Jean-Charles speaking in French. There has been a lot of critics about the ability of the senator to express himself into the French Language. There is a general understanding in Haiti if you are unable to speak French therefore you are not educated or smart. Senator Moise Jean Charles has become a controversial figure in Haitian politic as he is in opposition to the government of Michel Martelly. He has accused the government for corruption and others.